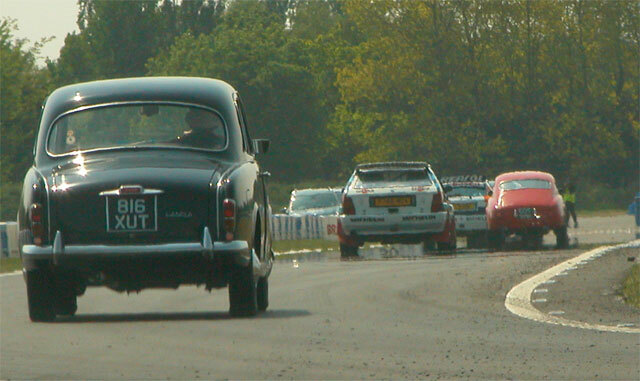 2011 - A review of Lancia Motor Club events. Over 100 members & family attended another very successful national weekend at the Cheltenham Chase Hotel near Gloucester. After dinner on Friday night, the Chairman taxed attendees with a very challenging yet enjoyable multi-round quiz. stops at Tintern Abbey and Chepstow Castle. Saturday's gala dinner was followed by a talk by Stuart Turner, who has an extensive CV in motorsport and motorsport management. On Sunday, around 100 cars were on display in the hotel's grounds for the national rally, giving everyone a break from the road to socialise and chat around the static cars. 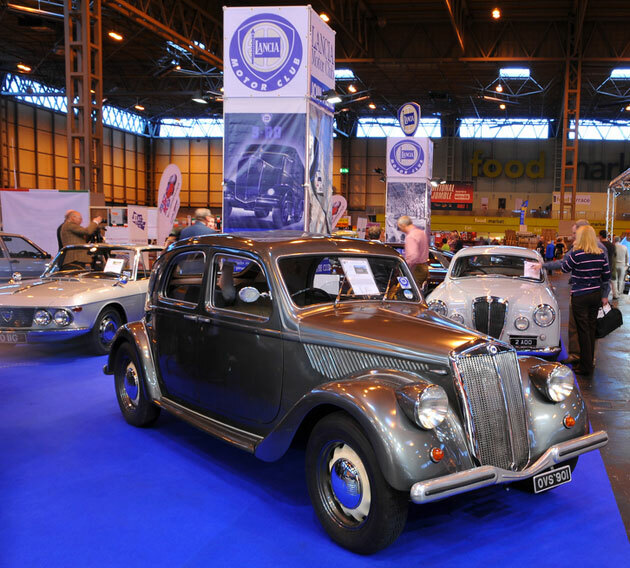 An excellent layout to view the historic and classic vehicles, bikes and motorbikes of all makes and ages on show with another good Lancia turnout, seven cars including five red Fulvia Coupes. Despite the later inclement weather an enjoyable gathering with many interested visitors. A sunny day at Goodwood this year greeted the track day participants for the annual visit to Goodwood and there was an excellent turn out of Lancias. 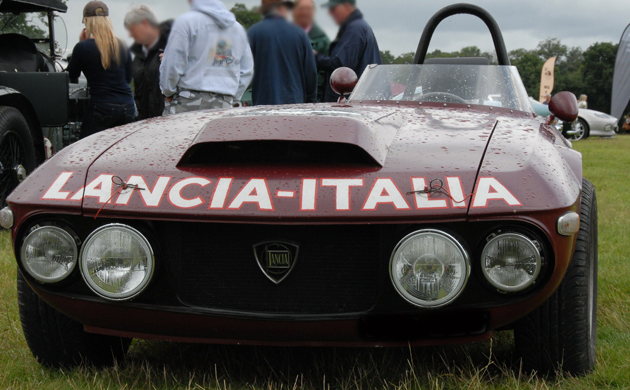 This year there was gathering of eighteen Lancia Aprilias and drive round the track to mark the 75th Anniversary of the Aprilia. The 25th Anniversary Auto Italia Italian Car Day was another excellent turn out of Italian cars at Brooklands, not just the LMC members, but all makes and models with the weather to match. This year there was a new special track demo event on the Mercedes-Benz World track where there were 9 Lancia on track for 4 laps behind a safety car as well as the normal test hill event with a wide range of Lancia models taking part. The annual Great Northern Weekend was held at Low Wood Bay Hotel, Windermere.?? This relaxed social weekend allowed members to take part in an observational tour of the Lake District which included a visit to the recently relocated Lakeland Motor Museum.?? Members travelled from all over the UK and as far afield as The Netherlands and France, bringing a total of 50 Lancias.?? 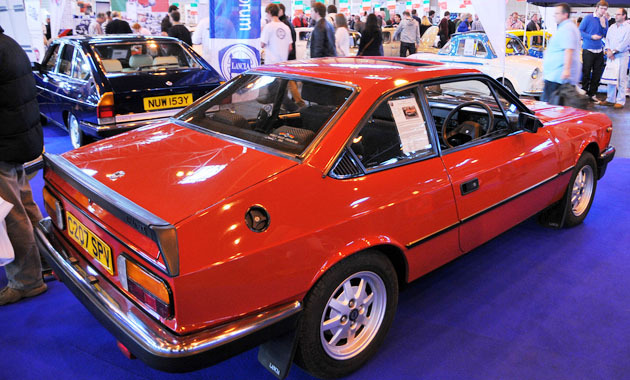 There were some rare cars present including an Artena, Hyena, Thesis and two Deltas from the current Lancia range. An excellent Lancia turnout at Brooklands after the New Year's Eve festivities despite the grey sky and drizzle, 12 cars in total, a few integrales, an Appia and Dilambda, Beta and 7 Fulvias (3 Zagatos, 3 1600 HFs and a 1300 coupe) amongst the wide assortment of other marques, the New Year Day's gathering is becoming a very popular event over the last few years with a wide range of cars of all types and ages, well worth a visit if you can attend in future, along with access to the museum and exhibits.